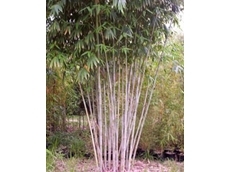 Non-invasive clumping bamboo plants for landscaping, privacy screens, hedges, windbreaks, shoots, timber, soil stabilisation and erosion control in suburban and rural areas. Horse sighter wire, monofilament fencing wire, grass trimmer line. Established in Western Australia, Langley Fertilizers operates as a manufacturer company of planter pots, pot carry trays, seedling trays, tree guards and other related products. The company also offers fertilisers and other horticultural products. All Stake Supply is an independently owned, Australian company, established in 1976. Our business is focused on providing a complete distribution service supplying quality products that facilitate environmental sustainability. 23/03/11 - The Ghost Bamboo (scientific name Dendrocalumus Minor ‘Amoenus’) is an ornamental bamboo featuring powdery white culms fading to lime green striated culms as they mature. 04/07/08 - Austwan Enterprise offers sales and distribution services for a range of fencing products and accessories suitable for residential and commercial fencing applications. Durable hardwood stakes from Australian Hardwood Stake Co.
03/07/08 - Australian Hardwood Stake Co. specialises in providing a diverse range of hardwood stakes. 03/07/08 - Austwan Enterprise distributes an extensive range of baskets and planters. 02/07/08 - Austwan Enterprise provides wholesale and distribution services for a range of flowers, plants, bamboo stakes, fencing products and tree guard stakes suitable for commercial and residential markets.